2 Minutes to foil their cuteness. Addiction to click baiting is what is happening to your productivity. You and I (Being honest, I deal with this on a daily basis) are searching for real bits information. We find it, then at the bottom of the article, which we dutifully read, our eyes connect to that headline that hooks you. You Won’t believe what Susan Boyle looks like now. (Out of respect for you, I did not make that bold statement a click bait) Okay, years ago, I was truly amazed by her singing and was aware that she had a difficult time to transition to a popular world class singer. So, I clicked on it. Urgh. Lost some precious minutes there. Click baiting has been around for sometime. It is ingenious, insidious and it is certainly quite effective in getting you to their site. Cute animals, our need to see “where are they now?” items, and a myriad of other amazing and shocking items. Our (yours and mine and I am sure a few academics out there who swear they have not oohed over a cute puppy video) brains thrive on it. Actually read any non click bait news article, you will find it peppered with click baits waiting to hook you. You know this. I know this. I love cute kittens. Several articles such as the one in a 2015 Wired magazine article titled YOU’LL BE OUTRAGED AT HOW EASY IT WAS TO GET YOU TO CLICK ON THIS HEADLINE by Bryan Gardiner explains in detail how easy our brains react to the headlines that draw our attention to many articles. After the end of bingeing on so many articles that just bait you, and you know it, you feel like you have wasted precious hours. Read his entire article as there are legitimate articles that explain further these tricks of the brain. And to think we all are practicing mindfulness. There was a time I was hooked on reading the Best of Craigslist articles. Like the click bait, these stories are what your brain craves. The Best of Stories are rated by people like us, we will scroll through every listing in order to rate the ongoing crazy stories, because the headlines and listings hook us. The activity of reading (reading is good, right?) these kinds of stories activates emotions as well as other portions of our brains. Our brains love to fill in the gaps and try to fill in gaps to stories. We love to read what happened on the disastrous blind date. I have utilized this hooking technique. In my attempts at selling on Criagslist, I try to make my ads clever and funny (I have sold 4 items out of 5 this way. 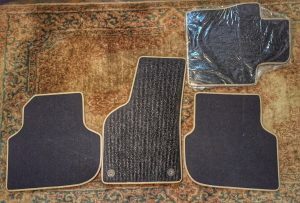 Though, I still have not sold my boyfriend’s Volkswagon Jetta floor mats, hint, hint) while giving my audience entertainment with a selling pitch. In the click baiting world of slide articles, you know there is an inevitable let down. And yet, knowing this does not discourage any of us to not click on the latest cute feinting baby goat chasing a cute baby otter or disastrous blind/hookup date story. We are all in it together. We have to fight our brains in order to get our productive work done. If you need research performed on your latest project, (no topic is too obscure) and have no idea where to go and how to proceed contact me. I can certainly help.